DT Call ends May 15th! 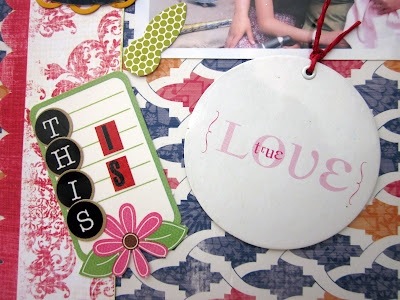 Addicted to scrapbooking and obsessed with crafting in any way shape or form? Would you like to join the team of an up and coming online store for paper craft in India? We have an exciting opportunity for talented scrappers, card makers and off the page artists to join us here at Lulupu.com as our DT Member we call the Lulu Poohs! 1. Create a total of 2 projects per month and promote our products. 3. Commitment to be in DT till Dec 2012. 4. Help decide on new promotions and challenges ideas. Take the lead atleat once in your 6 months stint. 5. Help us to promote Lulupu.com on Facebook, Twitter and your blogs. 1. New supplies and kits on regular basis from our store plus special DT discounts and birthday gift vouchers! 2. A personal page at Lulupu.com (under Lounge) with your photo and bio with link to your own Gallery! 3. An opportunity to showcase your work, expertise and talent to a wider audience via our website and Blog. 4. A cute Design Team button for your blog! 1. Use any of the inspirational photos of our Lulu Pooh’s work from our Gallery at the Lulupu.com website (also available on our Blog here) and create a NEW project of any kind. Unconventional would totally work! 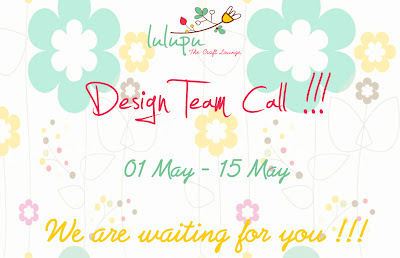 Projects do not have to use products only from Lulupu.com although we would LOVE seeing how you work with them! 3. Only Indian designers are all welcome to apply at this point of time. 5. Tell us a little bit about yourself and why you would like to be a part of the Lulu Pooh team. 6. Tell us about your scrapbooking/creative style, the type of projects you enjoy making, your favorite color schemes and products to use, as well as your least reached for products and color schemes. 7. List your area(s) of expertise from the technique categories below. 8. Any other Design Teams on which you currently serve, and if you have had experience in the past with being a challenge leader, DT coordinator etc., we'd like to know that as well (it's okay to say none!). Please add your name below if you have submitted the details and wish to participate! We are looking forward to seeing your talent! Firstly I must thank my ever motivated and high spirited team of Lulu Poohs to come up with such fab and creative ideas day after day! 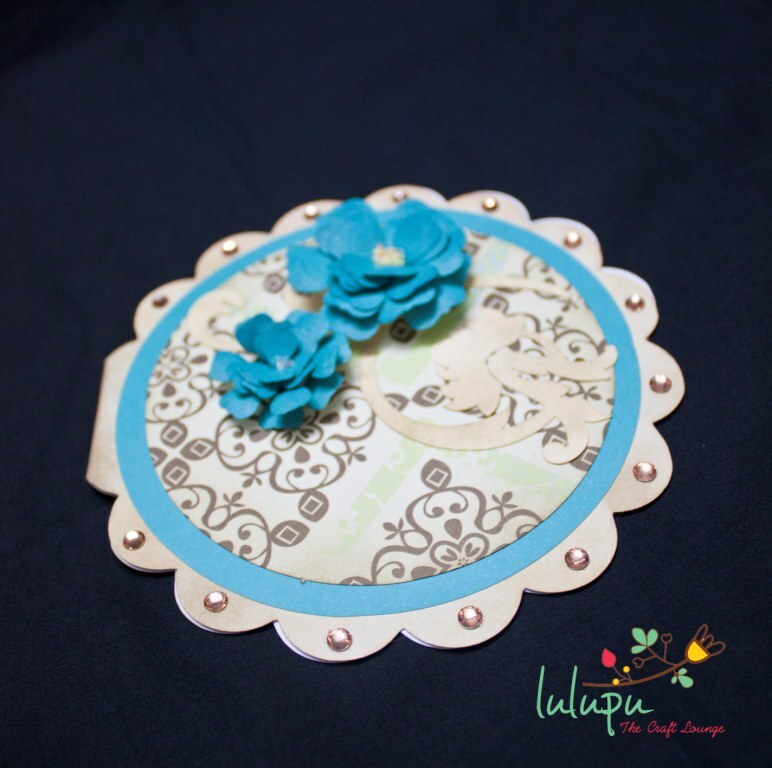 Also, 2 of our Lulu Poohs Tejal and Shalini have decided to take a break and we would like to thank them both for being with us during our launch and am sure you would still see their work here at Lulupu Blog :). But before that do visit their Blog and shower your love! Its now my turn share a mother'd day card I have made and this one is for MIL! 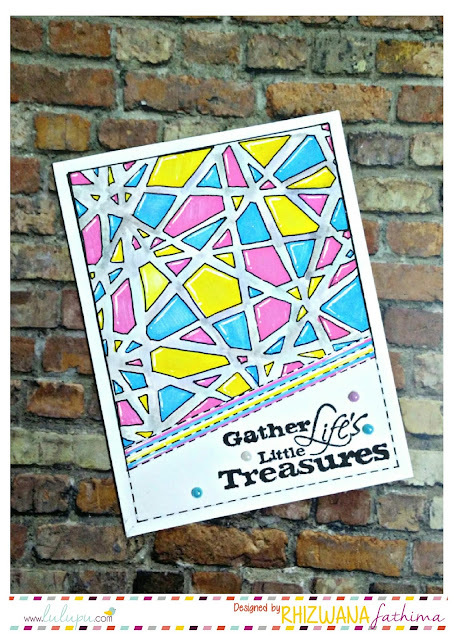 Yep, I haven't put up much of my work but I really wanted to share this quick card that I made using my electronic die cutting machine called ecraft by Craftwell USA. This machine is available on order at our store as well! I know many of you might not have heard about this one but I totally loved it! I use it with my SCAL 3 and its a breeze. Like all machines it comes with a learning curve but isn't that the fun part of working with new things? The entire card shape, flowers and flourish have been cut with the ecraft and the centres are filled with Pie Lane glitter :) I did not add any sentiment on the top as I loved it the way it was, subtle :) Have adorned it with some kaisercraft rhinestones and did some distressing around the edges. PS: Watch out our blog for an exciting announcement this april end. Also dont forget to participate in our monthly FB Fan Page for a lovely giveaway! 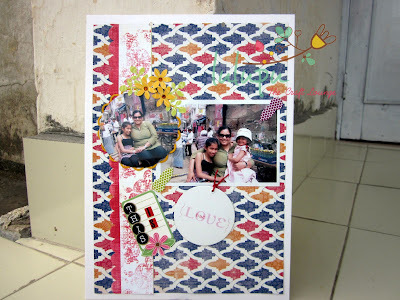 You have been enjoying lots of beautiful stuff and tutorials from my fellow DT members.I am here to show you how to use some of the stuff in a scrapbook layout. Firstly ,you need to have a sketch/ layout in mind.it makes things dramatically easy.I chose Cps- card sketches. Second step is to choose a colour theme.I chose and expired colour theme by sparkle. 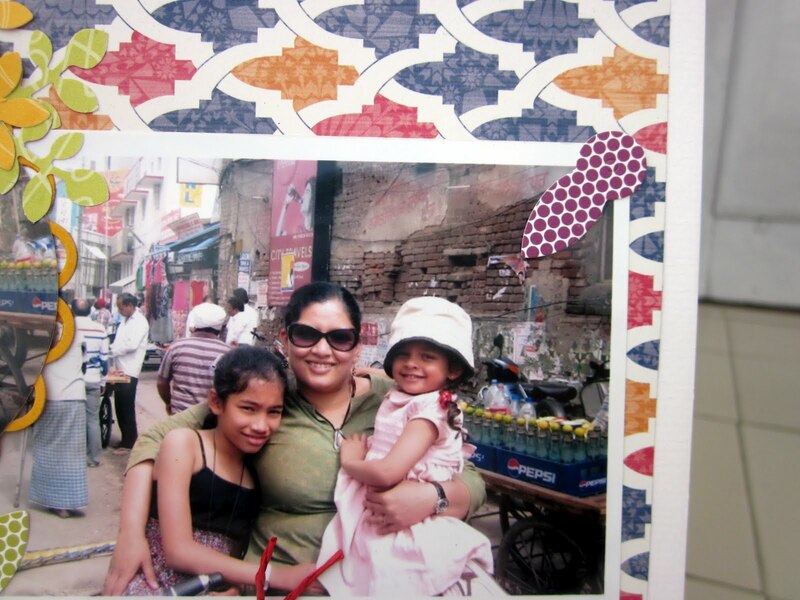 Finally enjoy yourself with the wide array of stuff that Lulupooh has to offer...like I did.These pictures are from our holiday at Amritsar and we were thrilled to take a rickshaw ride. THIS IS A PIC HEAVY POST. 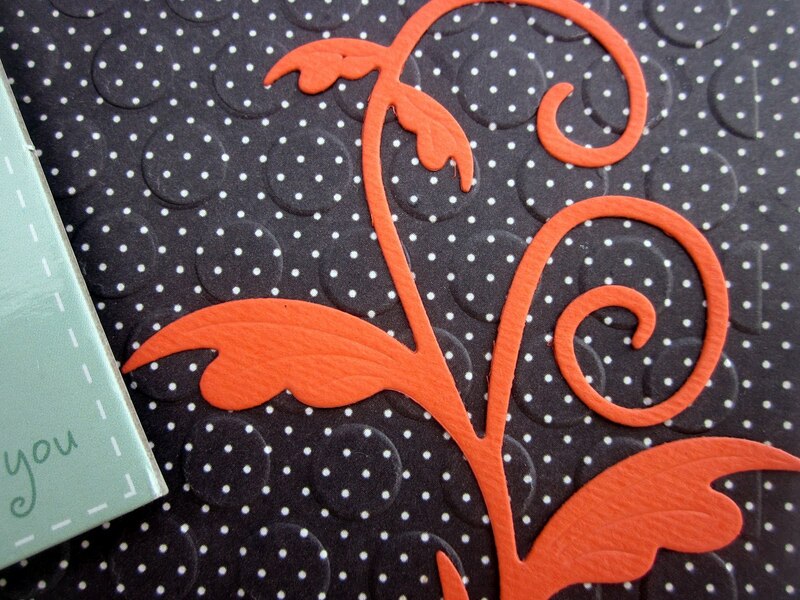 Summertime Cardstock Cute Cuts Die-Cuts 12"X12" SheetThe flowers and leaves were cut from the following papers. I hope you too will give it a try.trust me it is a lot of fun. This is Shruti here.. back with another card for you guys! 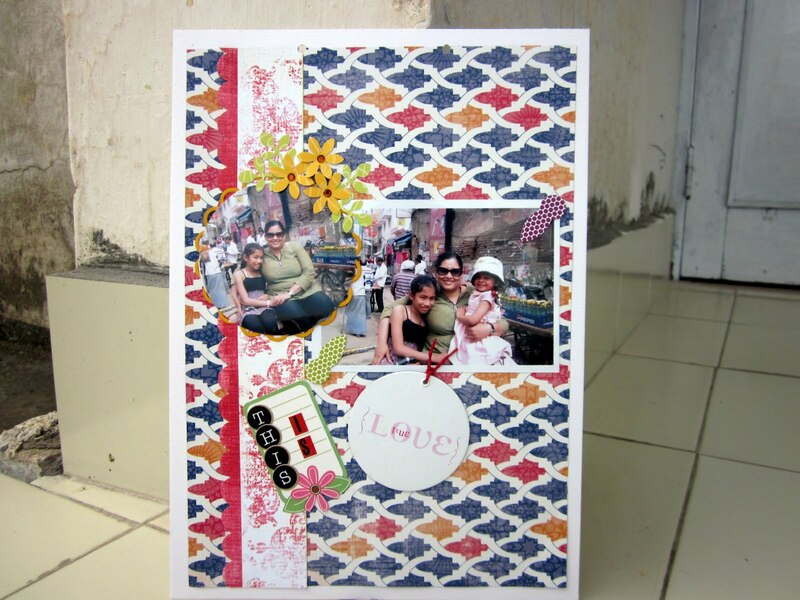 Of late I have been in a mood to try something new everytime I sit down to make a card or a layout. 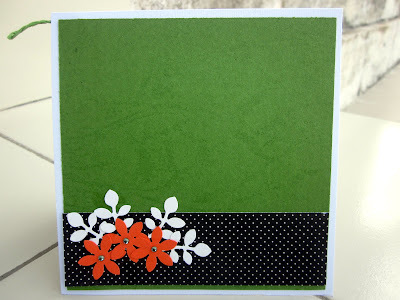 I have seen numerous cards made with negative images from die-cuts. 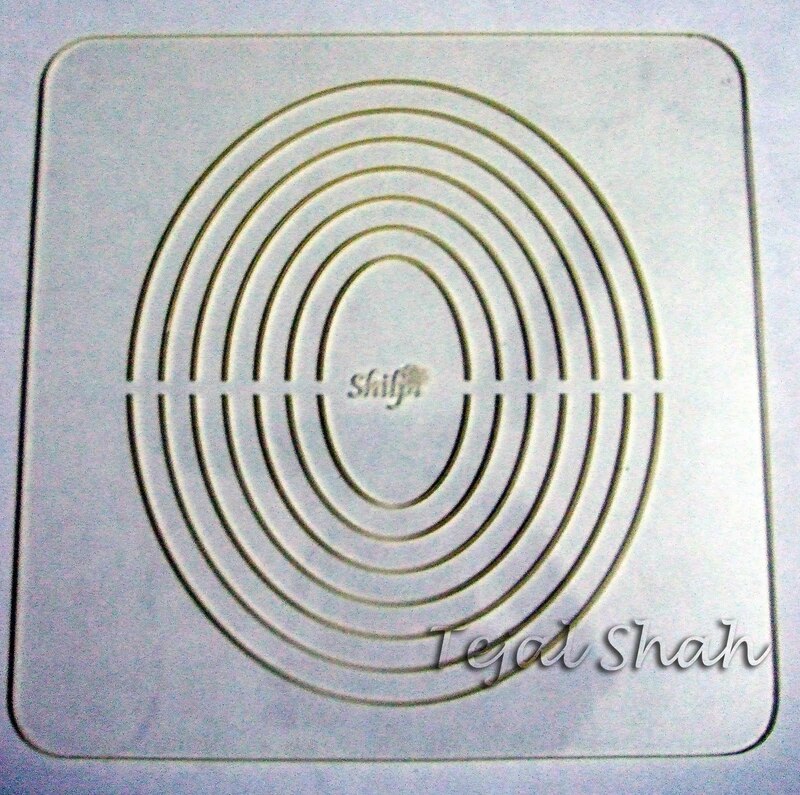 Since I do not own any die cut machine I thought of trying the same thing out with my circle punches. 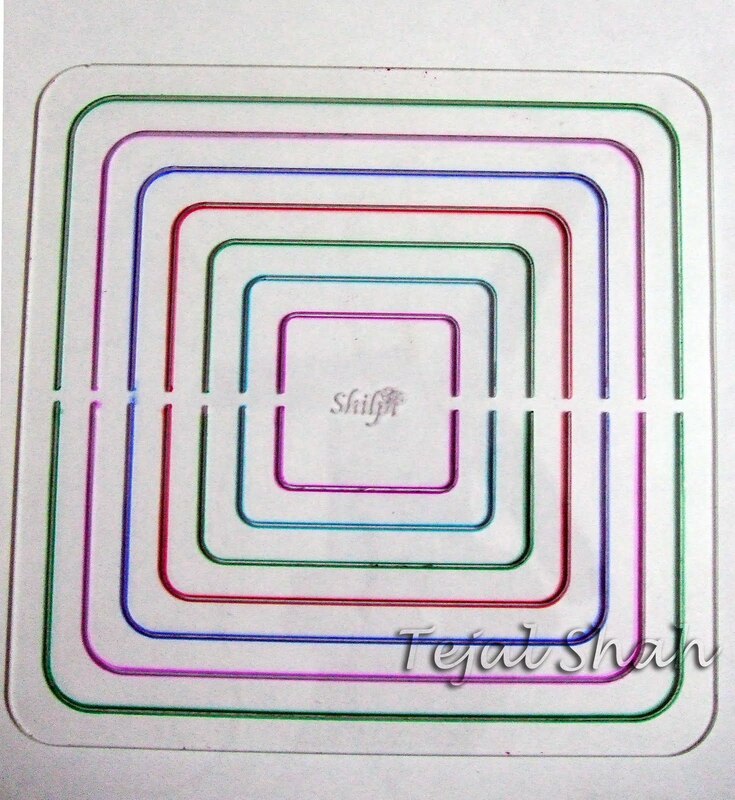 I have used different colored buttons underneath.. you could also put some pattern paper instead or felt sheets even.. that would give your card a different look. 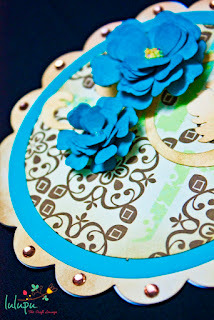 :) This is a simple and a quick way to make a card in a hurry. Do try it out! > Pattern paper: Fancy Pants - Adorable - Wishful Thinking Double-Sided Paper 12"x12"
Thank you for being such a great Mom! 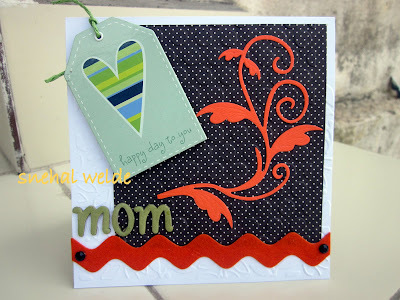 Twine - Doodlebug Design Inc.
You have seen loads of tutorials and many inspiring creations by the very talented DT.Here is my humble creation for the Mother's day. Detail shot of the dry embossing. This card uses the following supplies. Cut n Tuc Templates are here!! 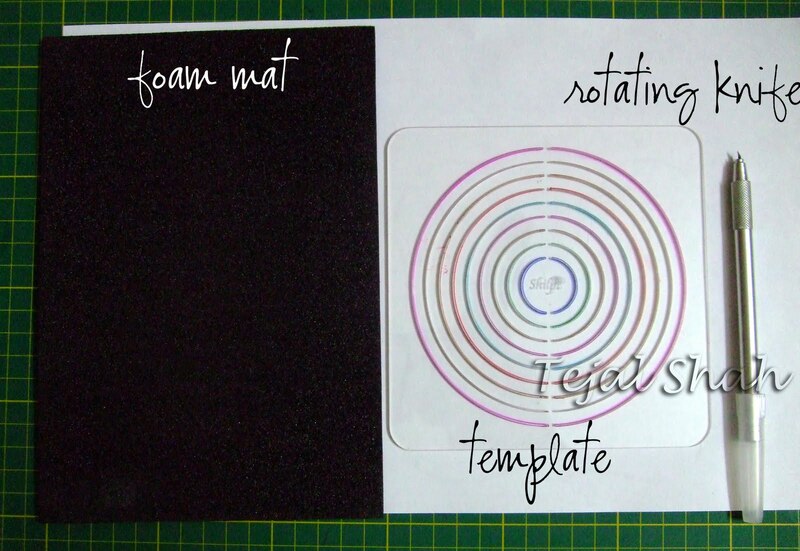 You stack your foam mat, then your paper and then the template and then cut. Here's a snippet of the that video showing just how I use my templates. 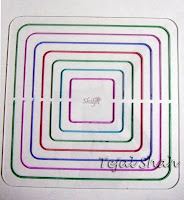 Tip - Do not try to cut directly on your cutting mat (the green one in the picture) , you will not get perfect cuts. 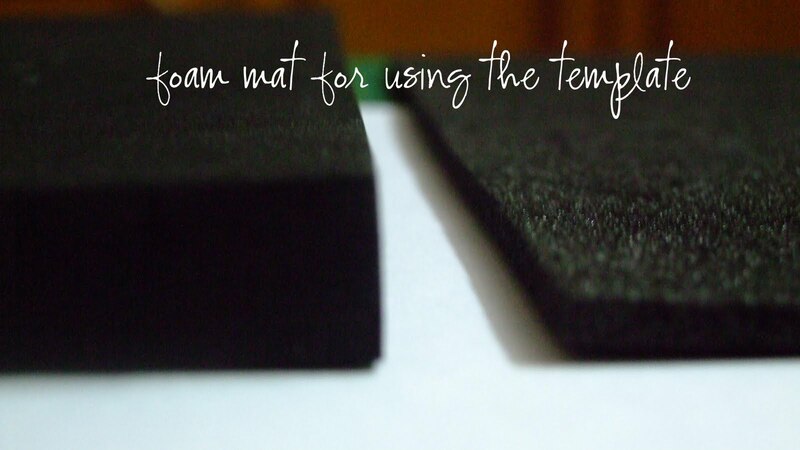 It needs the foam mat to push the knife into the grooves. The foam mat on left is from Shilpi (Available at lulupu.com) and one of right is the one from my parchment kit. Now as to why are my templates multi-colored? 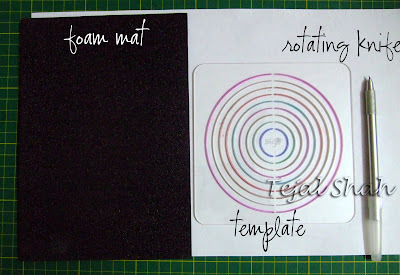 Its a tip I learnt form SCS (splitcoast stampers) Color ever circle a different color, so that you remember which one you are cutting.. Else I might start at circle one on the right and circle two on left!!! 3. The rotating knife/swivel knife- a must. I've tried other blades but the grooves are too thin and a straight blade, while helping you to cut may scratch the grooves of the template. Do keep spare blades with you... Since it gets wedged between the two groves, there is a good chance you will break it. Most importantly, direction of the blade in the groove is very important. Keep the sharp edge of the blade in the direction in which you are cutting. Should minimize the breakage of the blade. If there are any more questions, bring it on. I'd love to help you as much as I can. 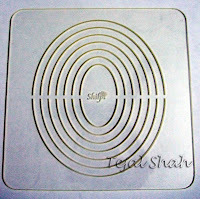 A whole kit comprising of the circle templates, the Perforating pad and the rotating knife is available at Lulupu.com. Click here to buy it. Have you checked out the give-away in the previous post yet? 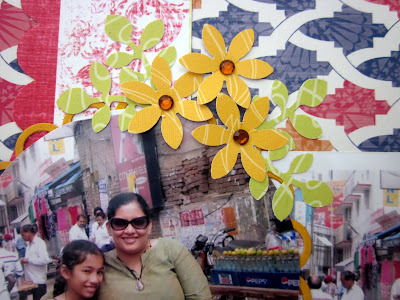 Till the next inspiring post....keep crafting! Love you Mom!! And a give-away! How has everyone been?? I am back with another post for Lulupu.. This time a mother's day card using some beautiful patterned papers available at Lulupu. Mother's day is round the corner so I thought of showing some love to my mum.. Mind you it is her birthday tomorrow and would probably go to her before mother's day.. But what the hell... I would make another one for her... :D.
Before I go the card here's a quick update on a give-away at your very own www.lulupu.com! 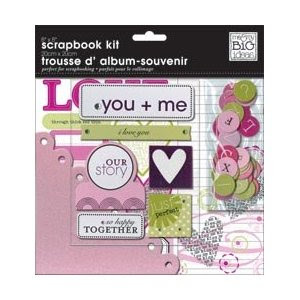 A gorgeous 8X8 Scrapbook Kit from Me & My Big ideas - You & Me! Isnt it gorgeous? This theme goes for anyone special even your mom! Here's how you can win this kewl kit! (Sending a friend request to this page will not enter you to win). Now here's my take on this weeks card for mommy dearest! PPs-Fashion District Custom Value Pack Pad 12"x12"